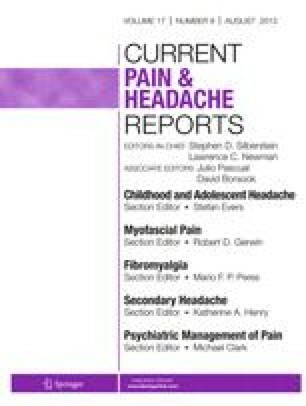 This article discusses the neurophysiology of myofascial pain syndrome. The local twitch response is a characteristic finding of this condition; it is activated by snapping palpation, pressure, or needle insertion at the trigger point. It is manifested by a burst of activity in the muscle band that contains the activated trigger point. No activity is seen at other muscles bands. Data from experiments with the rabbit indicate that this is a spinal reflex, as it is abolished by transection of the motor nerve innervating the trigger point and infusion of lidocaine. Transection of the spinal cord above the level of the trigger point fails to permanently alter the trigger point response. Needle examination recordings from trigger points show low-voltage spontaneous activity and activity resembling end-plate spikes. This activity is reduced with infusion of phentolamine and local intramuscular infusions of phenoxybenzamine. There are four hypotheses to explain the findings seen at the trigger point. The first is that trigger points are found at the muscle spindle. While this theory may explain the effects of a-adrenergic antagonists at the trigger point, it does not fully explain the electromyographic (EMG) findings recorded at the trigger point. The second theory is that trigger points represent hyperactive end-plate regions, as the EMG activity recorded at trigger points resembles that described at the end-plate region. Other theories that either deny the existence of myofascial pain syndrome or believe it represents a focal dystonia are also discussed.